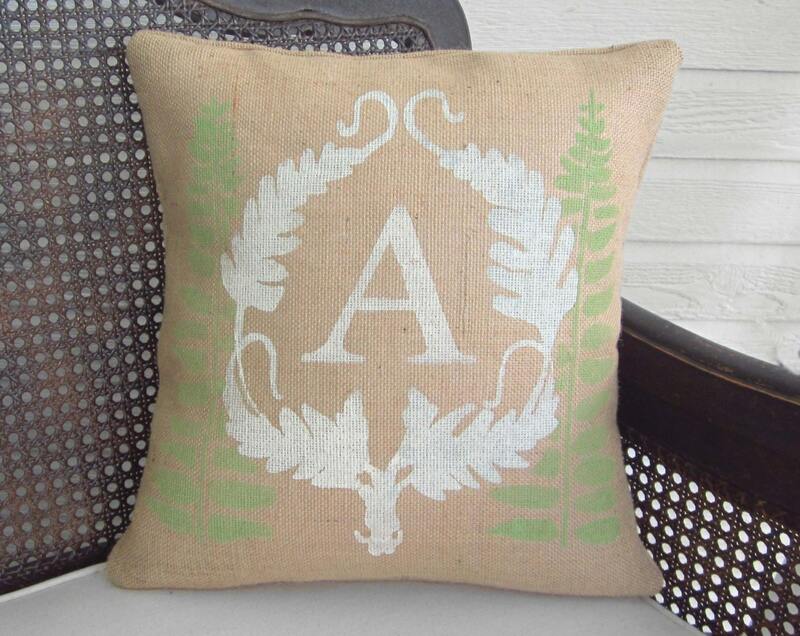 This fern burlap pillow was inspired by an old book cover form the 1800's and can be personalized with a monogram. Every letter of the alphabet is available. 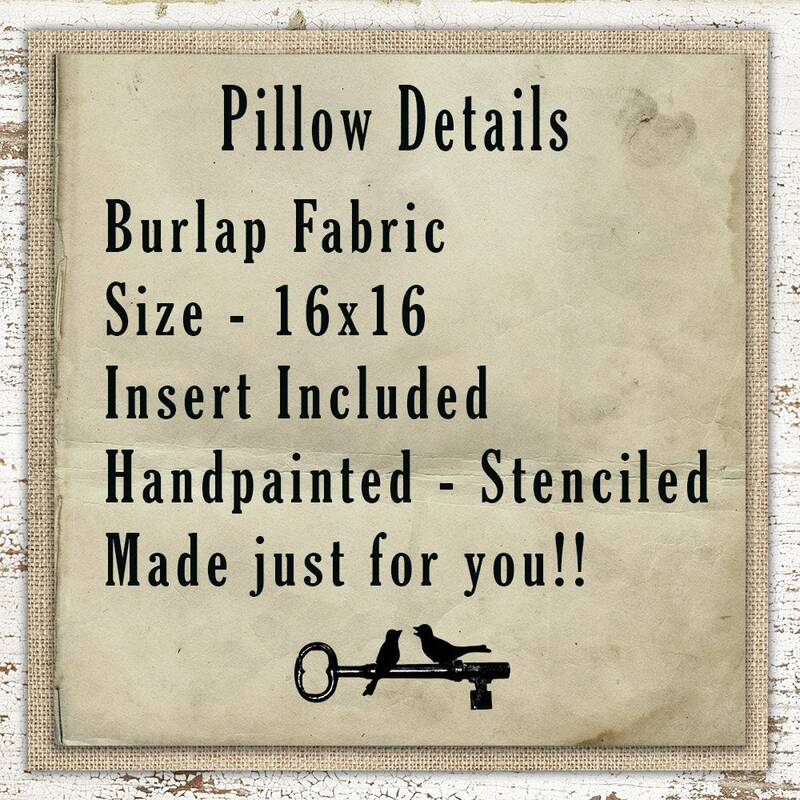 The pillow is available in natural and cream burlap. 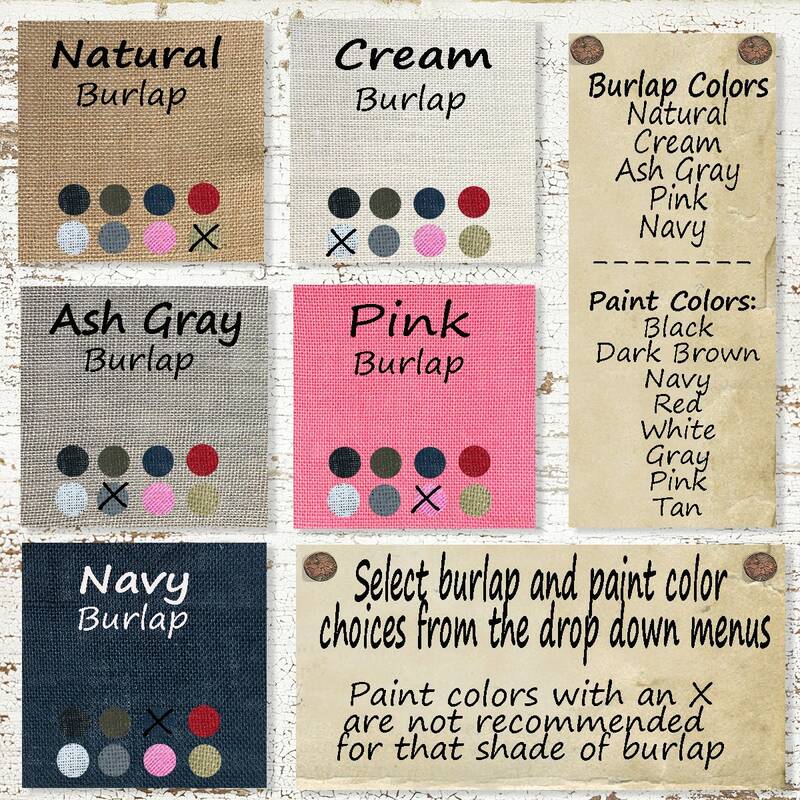 You will be able to choose the color for the fern wreath and monogram. The fern leaves in the background will be green. 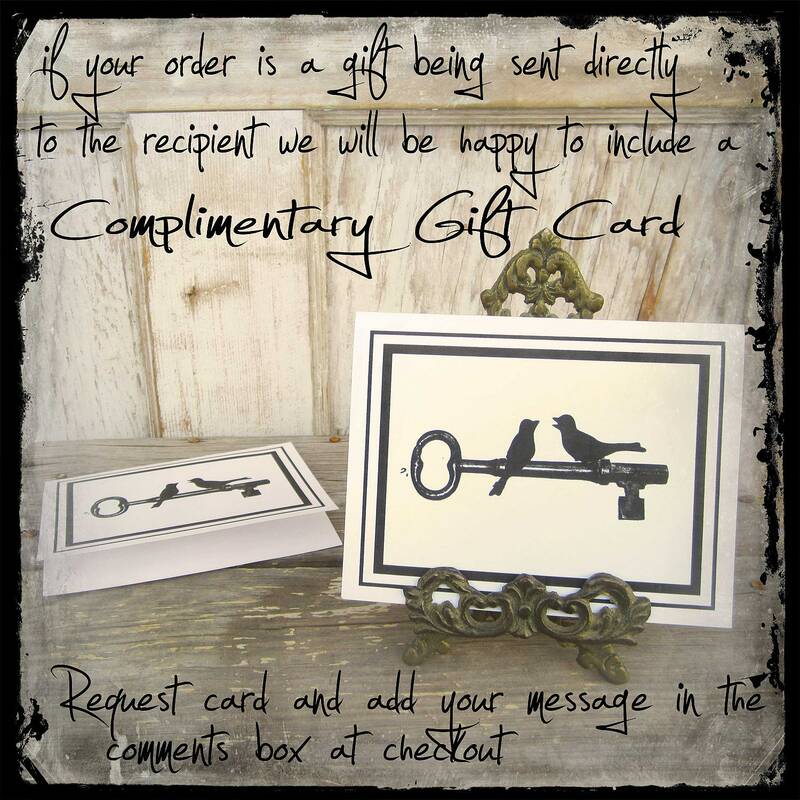 If you would like different color choices please contact us.